Local Artist Gallery, Classes, Performance Art, Concerts, Private Event Rental, Artist Studios, and More! 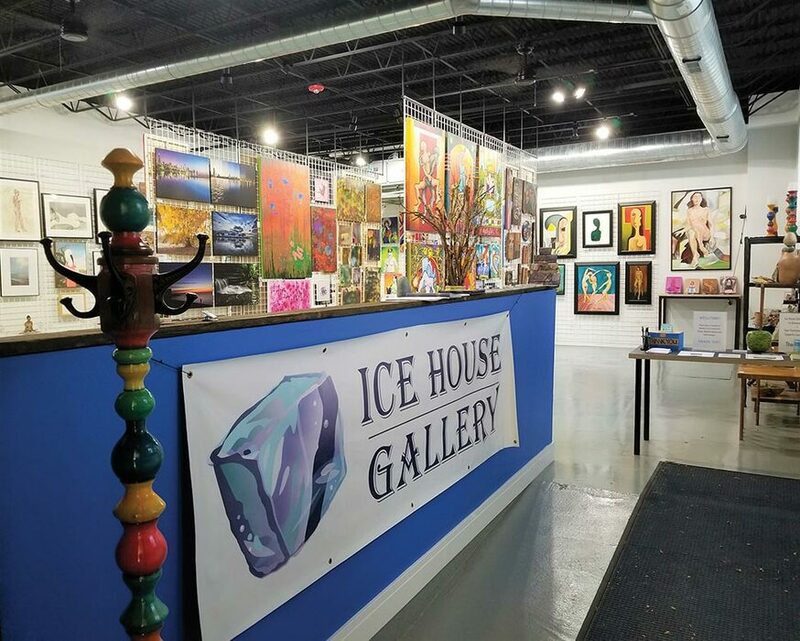 Ice House Gallery has rotating main shows offering a huge display of art from many local emerging as well as established artists. We have a solo show wall which changes monthly on the first Saturday. Mid month there is always a show to see be it music, storytelling, theater or otherwise. Opening Receptions take place the first night of the exhibition featuring refreshments and live music. Gallery closed the week prior to openings.